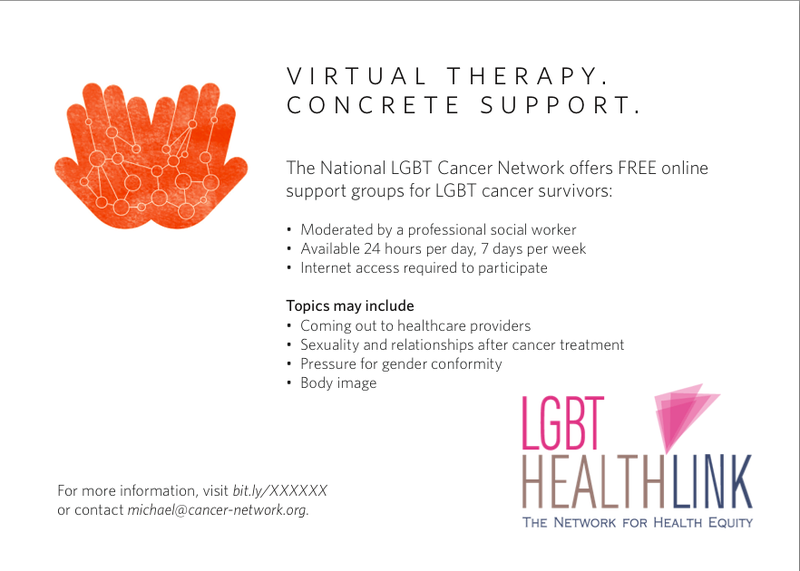 For the past few months, The National LGBT Cancer Network has been contacting community centers around the country to join us adapting and promoting our two new online cancer programs aimed at the LGBT communities. Both “Take Care of That Body” and our online Support Groups for cancer survivors are available to LGBT community centers free of charge. We provide the programs, text to announce the programs for social media, newsletters and websites, as well as promotional postcards (images below). So far the DC Center for the LGBT Community, Hudson Pride Connections Center, The Lesbian, Gay, Bisexual, Transgender Community Center of Greater Cleveland, Harmony Cafe – Fox Valley, the Roanake Diversity Center, Oklahomans for Equality, the Richmond Gay Community Foundation and the Breast Cancer Coalition of Rochester have all begun promoting our programs. “Take Care of That Body” (TCTB) is an online program that is designed to educate the LGBT communities about our increased cancer risk factors and the importance of screening and early detection. The program allows users to create personalized cancer screening reports, learn about US Prevention Services Task Force-recommended cancer screenings, and offers referrals to LGBT-friendly free/low cost facilities. The risk assessment portion uses demographic, medical and behavioral questions to inform individuals what screening they may want to seek out from their healthcare providers. TCTB also has a place to sign up to receive electronic reminders, sent via text or email, to remind you to ask your doctor for or about these screenings. TCTB also has a small, but growing list of LGBT friendly cancer screening facilities. 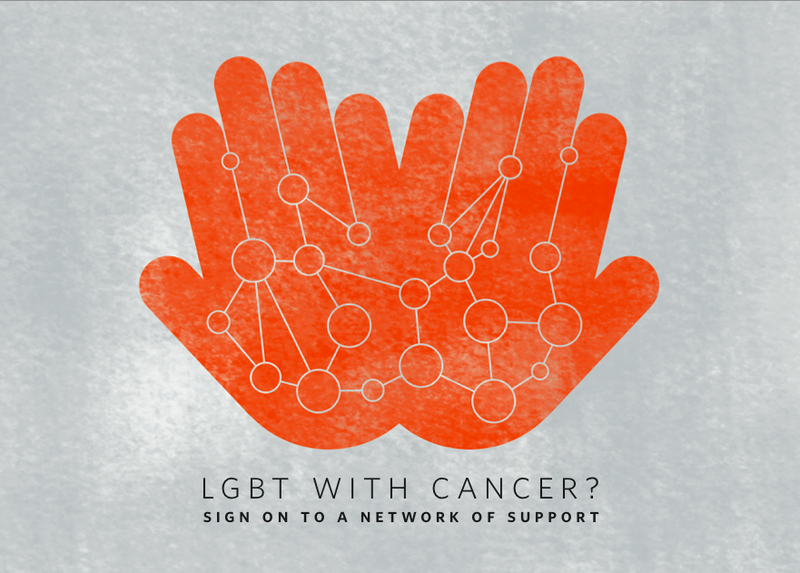 The National LGBT Cancer Network has selected these resources because of their commitment to offering safe, affordable, welcoming care to all LGBT people. Each facility has a Personal Contact who will guide you in setting up your appointments and assure your comfort and safety when you arrive. If you know of any centers that are near you that may qualify and are not yet on the list, please contact us to let us know, and we will reach out to them! The Support Groups are free online support forums to LGBT cancer survivors (internet access required to participate). Many LGBT survivors do not feel welcome or understood in mainstream support groups and transgender survivors have been especially excluded. 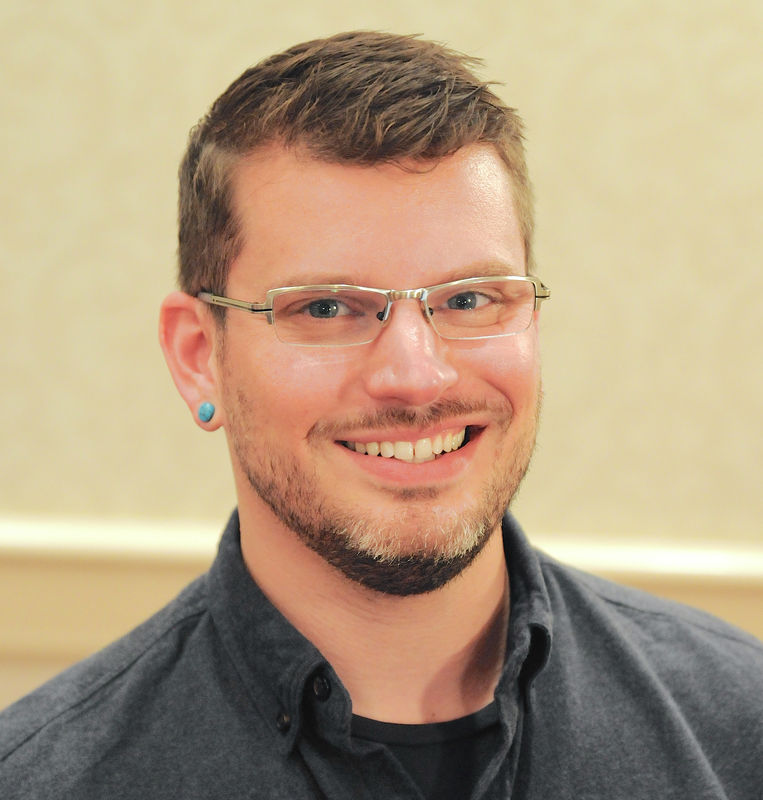 There are very few in-person LGBT cancer support groups being offered across the country and those who live further from major metropolitan areas are very unlikely to find one at all. So, we decided to do something about it ourselves. We offer separate forums for interested participants: one forum for lesbian- and bisexual- identified women, a separate forum for gay- and bisexual- identified men, and a forum for transgender-identified people with cancer. The groups will operate in 12-week cycles, close for a 2 week break, then begin again. Each forum is moderated by a licensed clinical social worker and will be available to participants 24 hours per day, 7 days a week. You can visit our programs on our website, and if you know anyone who you think would benefit please pass it on! As well, if you know of any organizations that may want to help us expand our programs around the country to local communities, feel free to make the introduction! Next Post Many Faces One Dream!